Beer is enjoyed every day all over the world by millions – possibly billions – of people. 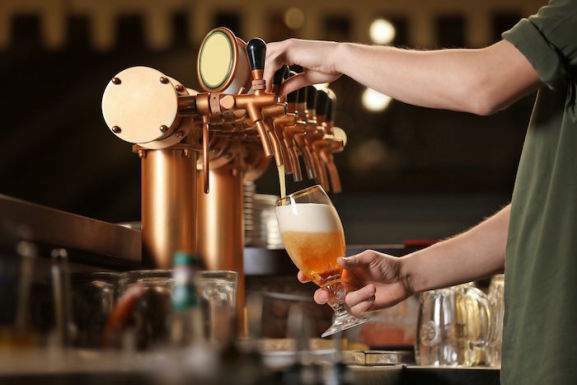 And these days, beer has become big business, with hundreds of craft and micro breweries, beers from around the world and plenty of accessories for beer lovers to purchase. Whatever they need, beer lovers can find everything they want at the HotUKDeals beer listings and snag a bargain. Better than current 8 for £9 offer in Tesco! Just wondering if one of the inner can barcodes was showing by mistake and checkout op has scanned that instead of the outer barcode? Free-ish will suffice for most. Plus, after the first five or so, i don’t think you’ll care too much! It's free for a reason. 2 sips and I dumped down the sink. Why cold? Free beer is great surely? Hear from me man. Just found this at Costco Hayes Middx. Not sure if its national or local. Not the greatest beers but at <50p a bottle its good for me. We got this when about £7 couple of months ago thought that was good! ,(it was on the site then) so looks like they’re selling them off . HA well done on your even better find. Old Speckled Hen is pretty good not sure about the rest of them. Can't really complain at this price though. My case arrived today, cracking selection of top beers and breweries. Agreed it’s not Doom Bar, there are dozens of great ales available. I used Doom Bar simply as one example of far better value available. I have to date bought around 80 cans of around 20 different flavourly, they’re all OK but I stand by my comment they are not worth more than £1 per can. Hey COUPONKEV, it's not really fair to compare these to Doom Bar. These are small batch Craft Beer, Doom bar isn't. It's like comparing apples and oranges. If you want to compare it to supermarket offerings then compare it to the Four Pure section, or the Thornbridge beers. But even then, you'll get a much more varied, interesting mix than any supermarket. But if Doom Bar floats your boat then that's totally cool! But these ain't Doom Bar. These crates aren't a mystery at all, just repeat sale beer that they are still trying to flog. Yeah wasn’t keen on the smokey one either, glad I only had 1 of each can. Agreed, not pleasant unless you’re a fan of lager and lime. Sticks n Bones isn’t too clever either, I like stouts but this is like a smokey bacon flavour. Probably a reason why these are being sold off in bulk. This is a one off order - no subscription to cancel. A nice easy drinker a quid each at Morrisons. £1.25 elsewhere. Also have Pedigree (500ml) and Old Speckled Hen (500ml) in our local Morrisons. As this picture will confirm, I read the delivery box the kegs come in and it states a 30 day freshness guarantee once opened. You can just about spot it in that picture if you zoom in. Available at the winnersh store. Only a couple left on the shelf though. See that's what I originally thought too. Then I found conflicting info &amp; changed it. The thing is that there's these 5L kegs and also the Beertender/Perfect draft stuff. I wondered if the Beertender kept it fresh longer or if there was a different expiry based on the contents. I know the Hobgoblin kegs are 2-3 days. 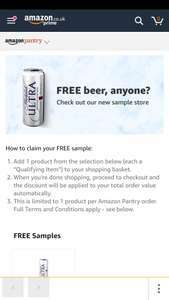 Never miss a 'Beer' deal again! Cheers for the post OP. If they were 500ml cans, it'd be a far better deal. 500ml is a bit less than a pint, but 440ml is notiiceably less than a pint. Guinness aren't dloing themselves any favours. Thanks. I thought I couldn't change the title, so wrote a comment. Thanks for advising me on the title. I could change it (cheeky) . Need to change the title as you're going to get a lot of heat for a false title! I was tempted a few times, just for the trug, to use for sauces at BBQs, but at £12 no way. Originally £12...... Oh come on Tesco, that's the biggest load of bull ever!! £6 is about right though. Word of warning - if you're expecting these to taste like a sour... look elsewhere. If you think of them as a raspberry flavoured sparkling water, they're actually quite nice. Wouldn't say 'one of the best', but at this price, there's no complaining . Think I prefered the Erdinger alkoholfrei to the Franziskaner. May be sweeter, so likely not to the taste of many. As for the normal hefeweizen, didn't think much of it and find Weheinstephaner's much better. You can get it in Sainsbury's and Waitrose. The dunkel is my favourite. I was expecting the Fraziskaner to be very nice but was rather underwhelmed and dissapoited really. Still this is a good price and a nice drink. Wheat beers are great. Ah Craft Beer, The old Real Ale reinvented in Keg form with some CO2 and Bubbles thrown in for the new gerneration but at 4 times the price. I absolutely love the craft beer phenomenon. I’ve found some amazing beers that I’ve enjoyed time and time again and the bigger chains are catching on to it. Bagby beers did a great collaboration with Wetherspoons earlier this month for only £1.99 a pint. If you like Fosters, great, enjoy your pint...Nothing wrong in people having different tastes. I personally don’t mind a couple of extra quid on something that I regard as good quality, well crafted and full of flavour. Don’t get me wrong, some of the supermarket ones are getting a lot better, Belhaven, Elvis Juice, Paxton IPA, but a proper DIPA like Cloudwater is worth every penny for c£6 per can. its the same as wine, Blue Nun has a market, as does Moët. I find these "craft" beer deals hard to understand and appreciate. For the majority of ones ive tried, they're terrible, and not exactly cheap. Stick to what you know and love (and probably cheaper). Chances are, all these trendy craft beers wont be around long, because noone likes them, and wont buy them again. Decent priced? 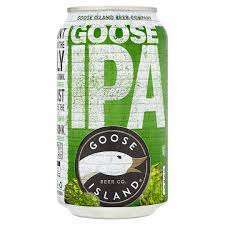 A 440ml can of some unknown IPA for over a fiver is not decent priced. A lot cheaper and excellent ales are available from a supermarket. Not quite. 7.92l = 7920ml / 24 = 330ml. Good deal. Pedigree is 4.5% though. Not great beers but Asda usually have something slightly interesting and we have a stout and a pale ale. Great value @£1.25 https://groceries.asda.com/product/stout-porter/bad-co-denver-milk-stout/1000061867945 https://groceries.asda.com/product/pale-ale/bad-co-west-coast-pale-ale/1000061868255 (there are way too many pale ales out there; there are 3 Bad Co ones alone - good for stocking up for BBQ season - but the West Coast one is the better one.) Cheers! Beer is a (usually) alcoholic drink that is made from grains that have been fermented using yeast. That's about it. Well, not quite. Actually, there's a vast array of ways to turn grain into what Australians like to call “the amber nectar”, and this buyer's guide will introduce the most popular. Even if you've been drinking beer for decades, you might be surprised by how much choice there is – and the many beer-drinking accessories that can add to the fun. So read on to find out how to tell a saison from a stout, and how to save money on the world's most popular brews. Beer is almost as ancient as civilisation itself. In fact, some people think that agriculture developed in order to product grains to ferment into beer, after nomadic pioneers had discovered yeast's magical properties. Whatever the case, cultures all over the world discovered variations on beer, from the Incas of South America to the Greeks, Mesopotamians and Chinese. It also became a central aspect of everyday life, with some Babylonians being paid in a ration of beer – although most ancient brews would have been slightly coarser than the slick, consistent drinks we are familiar with today. After the Roman Empire collapsed, the monasteries of Europe kept alive its brewing traditions. It was in these slightly surprising institutions that modern beers were perfected. Even today, plenty of beers from Belgium and France trace their roots back directly to monasteries of the Middle Ages. By the 1200s, even the monks were starting to cash in, as brewing became commercialised. As populations grew, people needed safe drinks (which weren't contaminated with bacteria like cholera). With its low alcohol content, beer fitted the bill, helping to ward off water-born diseases. By the 15th century, German brewers had gotten together to create their famous Reinheitsgebot – a code that still governs how German beers must be produced. Just to the east, Bohemian brewers also codified Pilsner production, launching a legendary beer variation. After that, brewing expanded, and then expanded some more. American and Canadian brands emerged in the 18th and 19th century. 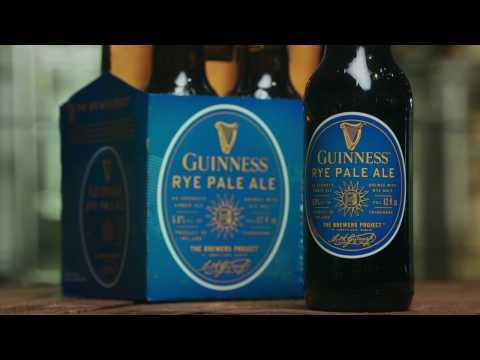 Guinness became a global icon. Real ales died out and then came back. And, in America brewing aficionados started creating their own products in small breweries, kickstarting today's craft brewing scene. 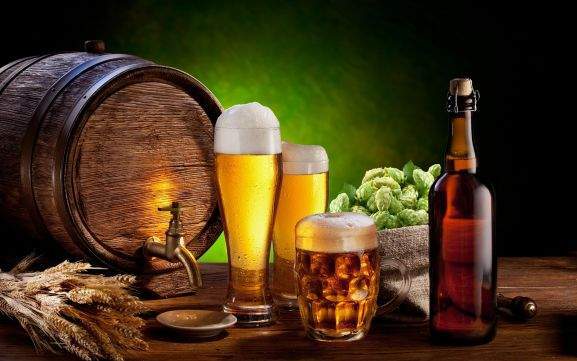 The result is a world that possesses hundreds of beer varieties and brands. It's definitely a golden age for beer drinkers, but with so much choice, it's easy to miss out. This guide will help you expand your palate and discover a whole new world of beer-drinking pleasure. What is Beer and How is it Made? Firstly, let's explain a little about what beer actually is. Obviously, there's a lot of difference between a pale ale and a stout like Guinness, but both drinks have some things in common. All beers start with grain, water and yeast. Those are the three main ingredients, whether you are talking about Bud Light or a Belgian Trappist beer. Most of the time, brewers will also add hops – a kind of fruit which adds zing and zest to beers. The basic process is as follows: the grains are soaked to liberate their sugars, creating a syrupy solution. Next, this syrup is boiled with hops, the mixture is cooled, and yeast is added to start fermentation. During fermentation, the yeast turns the grain sugar into a combination of carbon dioxide and alcohol. Finally, when the brewer is happy about the alcohol level, fermentation is stopped and the beer is bottled. That's a very simple recipe, but it's the core of the process. Naturally, there are various filtration steps to remove impurities, and other ingredients may be added to impart extra flavour, but that fermentation and hopping method is basically how your next beer will have been produced. What are the Different Types of Beer? Lager – Developed in Germany, lager is brewed using a yeast called Saccharomyces uvarum, which is bottom fermenting and brews much more slowly, at lower temperatures than ale yeast. Because lager yeast doesn't actually like alcohol that much, lagers tend to be sweeter and slightly weaker than many ales. They also often pass through a stage known as “cold storage”, which clarifies their taste and makes good lagers extra pure and crisp. When drunk on a hot summer's day, that's something you can really appreciate. Pilsner – Developed in what is now the Czech Republic, Pilsners are really another form of lager, but with a twist. They are much more heavily hopped than most northern European lagers, often giving them sharper, floral flavours that many drinkers adore. Pale Ales – Ales are brewed using a different form of yeast known as Saccharomyces cerevisia, which is the type you'll use when making bread. Much hardier than lager-making yeast, it can tolerate higher alcohol concentrations, which is why many craft pale ale manufacturers ratchet up the alcohol composition in their drinks. It's also extremely quick, which means that ale makers can turn around some varieties in a week or two (which is also handy if you are thinking about brewing your own). Pale ales are a specific type of ale, where the paleness derives from the use of pale malt. They can be fairly malty (English pale ales) or much hoppier (American pale ales, also known as APAs). They tend to be fairly crisp and refreshing, and handle refrigeration really well. Milds – A much rarer beast these days, milds used to be a huge drink in the UK (although they seem to be making a comeback). The reason they are called milds is because of their generally low alcohol content and they are usually dark in colour, with a malty undertone. Sometimes, they can also have toffee-ish flavours, creating a truly unique flavour profile. Stouts – Made famous across the world by Guinness, stouts are also a mainstay on the global craft-brewing scene these days. Always marked out by their dark colour, stouts use roasted malts to impart their characteristic colour and have a strong flavour. Nowadays, they are surprisingly diverse, with Imperial stouts, oatmeal stouts, chocolate stouts, oyster stouts, milk stouts and porters vying for attention. Be warned though – stouts tend to be at the stronger end of the spectrum in terms of alcohol content as well as flavour. Fruit beers – Brewed for centuries in countries like Germany and Belgium, fruit beers have swept the bars of cities like Manchester and London, offering an accessible alternative to hoppy beers and stouts. Generally, the fruit is added following fermentation, and brewers often use what are known as lambic beers. These Belgian beers use wild yeast from the air around them and mature in open air vats, creating a sour, unique taste which combines well with all kinds of fruits. Saisons – Becoming ever more popular with craft breweries, saisons are a relatively new variety in the UK. Usually containing over 7% alcohol by volume, saisons tend to be fizzy like lager and have a fruity taste. Specifically developed as a summer beer for farm workers to refresh themselves, saisons have started to catch on, and there are hundreds of varieties to choose from. Obviously, that's just a cross-section of the most common beer styles. Along with those basic categories, you'll probably come across wheat beers, white beers, red ales, golden ales, honey beers, brown ales, cream beers and amber ales. There's a galaxy of different strengths, tastes and consistencies to discover. And, with brewers becoming more experimental and innovative all the time, there's never been a better time to top up your beer collection. 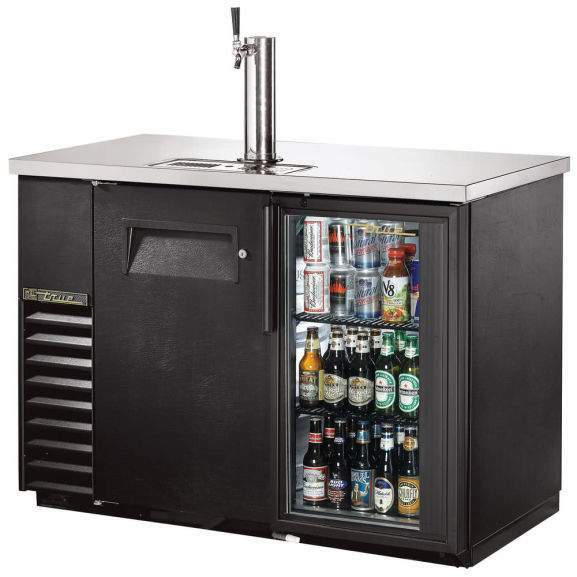 Beer fridges – Not all beers need to be stored below room temperature, but many do, including lagers, many pale ales and saisons, so give them the right space to mature and show off their flavor by investing in a specialist beer fridge. These fridges tend to be compact (unless you're planning on building a massive collection) and can be fitted into the corner of a student room or small kitchen with ease. Placing your beer fridge near your pint and tasting glasses is a great idea, and remember to have your bottle opener handy as well. Pumps – If you are lucky enough to have the space to set up a mini bar in your basement or living room, it's a great way to serve your favourite beers. Many beers can be purchased in mini keg form, but to get the most out of them you'll need the right pump. Some of these are branded by major beers like Heineken (and are designed to fit only their kegs), but there are general pumps as well. Just search for “home draught” or “home beer pump” and you should find what you need. Glasses – Drinking beer out of the barrel isn't an option, and drinking straight from the bottle can impair the experience as well. So make sure you have plenty of beer glasses available to house your favourite pale ales and Pilsners. A range of half and full pint glasses makes sense and, if you are really into your beer, you can even order personalised glasses with whatever design you like embossed on the side. Racks – Many artisan beers come in larger bottles which need to be stored in the correct manner, just like wine bottles. So, if you want your lambic beers to remain in peak condition, be sure to install a beer rack in your shed or cellar. Beer pong – One of the world's most famous drinking games, beer pong involves throwing ping pong balls from one end of a table to the other, and trying to land the ball in your opponent's cup. It may sound low tech, but it's great fun, and you can find specialist beer pong sets that make it even more enjoyable. Gift packs – Most craft brewers realise that people love giving and receiving beer as a gift, so hunt around for gift packs. Selections range from Trappist beer sets with attractive glasses and a selection of high-strength Belgian beer brewed by monks, to chocolate and beer boxes from Hotel Chocolat and sets from the iconic British craft brewer BrewDog. Personalised sets – If you are buying for a real beer fan, why not send them a personalised beer gift? Companies like Crates 4 U specialise in creating personalised wooden crates that are perfectly proportioned to hold beer bottles and cans (although they don't currently offer a beer and crate combo deal. Home brewing kits – All over the UK, more and more people are choosing to ditch commercial beers and create their own. Whether you want to create a dazzling IPA, a full-bodied stout or a floral wheat beer, you can find kits that will include all of the ingredients and, just as importantly, the guidance required to pull it off. Take advantage of supermarket promotions – Supermarkets always run generous beer discounts, so try to use them if you can. Stores like Tesco, Waitrose and Morrisons cut the price of major brands and craft ales alike, usually running 6 for 4 deals or something similar. When the right deal appears, strike fast. And buy plenty of bottles when the promotions are running. You can always drink them later and bulk buying saves a lot of money. Shop around to find the best deals – Don't stick to your regular supermarket when buying beer. Instead, check the HotUKDeals beer listings and check out deals from every single supermarket (and off licence). You'll probably find out that you are short-changing yourself every time you make a supermarket beer purchase. Ordering online is a great option – Most people buy beer in person, but that's often a mistake. The best deals are usually found online, whether that's at specialist sellers like Flavourly or retailers like Bargain Booze. 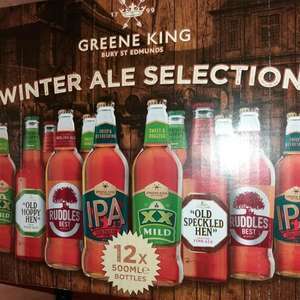 Special occasions can mean special deals – When events like the World Cup arrive, most supermarkets try to cash in with deals on cheap lager and ales. So why not take up their offer and store what you don't need for later? The same applies at Christmas and New Year. Just try to shop early enough in the run-up to those events to avoid price increases that inevitably arise a couple of days before. Beer is one of life's great pleasures for tens of millions of UK shoppers. And with more choice than ever before, it's a fantastic time to be buying beer. Whether you are looking for 24 cans of Stella Artois, the latest Californian APA, or a Belgian fruit beer, finding the right price is easy. Just log onto the HotUKDeals beer listings and search for the brand or type of beer you'd like to buy. When you search, you'll find deals from major UK retailers like Tesco, Sainsbury's, Asda, Waitrose, Marks & Spencer, Morrisons, Bargain Booze, Majestic and Lidl along with a host of online sellers as well. Beer is the kind of product that is always being discounted, and it's easy to end up paying more than you need to when there's a great reduction waiting at a nearby shop or online. Avoid paying over the odds by always checking the HotUKDeals beer listings and enjoy the finest brews around with the best beer offers. Cheers! This is a golden age for beer drinkers, but it's not always the case for beer buyers. Whether you love Pilsners, pale ales, saisons or raspberry fruit beers, finding cheap beer deals can save huge amounts of money. So head over to the HotUKDeals beer listings and enjoy your favourite tipple at a fraction of the price you normally pay.